Thanks to technology, it is now possible to have a smart home where appliances, home security and basic home functions such as opening the door, curtains and home lighting can be controlled either on a schedule or from a remote location. While smart home automation systems can greatly improve your home security, make performing most functions in your home much easier and generally make your home more efficient, the truth is that automation has to be done right in order to be effective. With the numerous automation solutions available in the market today, it is also easy to get carried away and end up with solutions that are totally useless. Home owners need to ensure that the automation solutions they buy for their homes are worth every cent spent if not more. 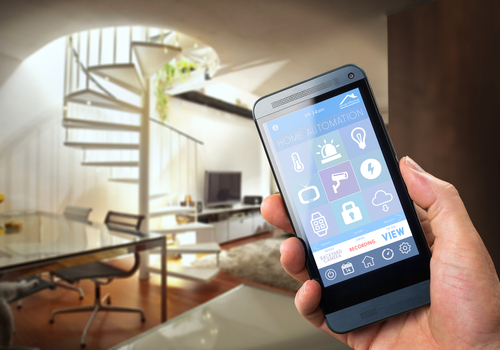 So how do you ensure that you get your home automation right? The easiest thing would to get in touch with a reputable home automation Company. An automation company will have a team of experts who are highly knowledgeable on the different solutions that would be ideal for your home and those that will meet most if not all your automation needs. Our automation company offers all the above and so much more and we promise the best solutions and services to all our customers. Below are 7 reasons to hire us as your smart home automation company. Out team is comprised of highly trained individuals who have dealt with different home automation system and know how to work around each system to ensure that it is efficient. This means that you can get guidance on the best smart solutions to choose for your home, have the solutions installed and seamlessly integrated with other systems in your home and get adequate support long after your home automation systems have been put in place. You can also be guaranteed that the solutions installed are running efficiently and your home is safeguarded against common automation mishaps that may be costly and expose you and your family to danger. While it comes to home automation solutions and services, you want a place where you can get all you needs taken care of under one roof. We offer a wide range of services and solutions and will allow you to choose what you desire for your home. Whether you are looking to have a smart kitchen or an efficient running home office, we have just the right products to fit your requirements. We also have the experts trained to install these systems and perform regular maintenance in your home meaning that we offer the whole package in smart home automation solutions. Technology changes fast and this is more clear in home automation where there is a constant demand for more efficient and secure systems. We are a modern company and we take our time to research on the latest technology and advancements where home automation solutions are concerned. We identify the best solutions for every modern home and we are dedicated to bringing the latest technology literally to your doorstep. You do not therefore have to worry about spending money on an outdated and less efficient solution for your home. Just like in all other aspects of life, quality when it comes to home automation solutions is very important. We only offer and recommend quality solutions that are not only effective but also offer great value for money. Our services are also top quality so that you do not have to worry about any breech in your home security or have to deal with automation problems every now and again. We value our customers and we are dedicated to offering nothing short of the best services in Singapore. Whether you just want to find more about automation solutions or you want to get any of these solutions installed in your home, you will be happy with the services and the products that we offer. We are a Singapore based company offering the right products for the Singapore market. 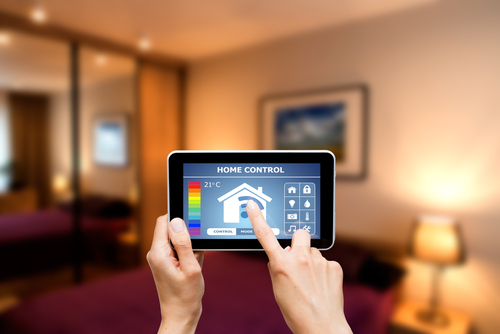 We are aware of the various demands in home automation in Singapore and we offer exactly what the market requires. You can therefore be guaranteed that all the solutions we offer are in line with the rules and regulations set by different bodies in Singapore and they are specifically tailored to fit the requirements of any modern home in Singapore. If you are in need of any automation solutions or services, all that you have to do is to pick your phone and call us. Anything from home automation solutions inquiry to a call for help where necessary, we are always there for you. Get in touch with us for a quotation of the automation solution that you are interested in and you will get exactly that and all your questions on the same answered. We respond fast to any distress call and are swift in making repairs and ensuring that your smart home automation solution is running efficiently again. Give us a call and we will transform your home in to that smart and efficient haven that you have always wished for. There is no denying that cost is very important when it comes to home automation solutions and services. Our services are by all standards pretty affordable and the solutions we offer are worth every cent invested. Our main goal is to transform lives and make your life better not just for a select few but to most people in Singapore. You therefore do not have to break the bank or go way over your budget to get the right automation solution for your home. We have a wide range of affordable solutions and we will ensure that you get this solution in your home and spend much less both in the short term and in the long run as well.